A balanced, benchmarked check-up of your loyalty program’s performance. Bond's LoyaltyCheck is the objective appraisal you want. 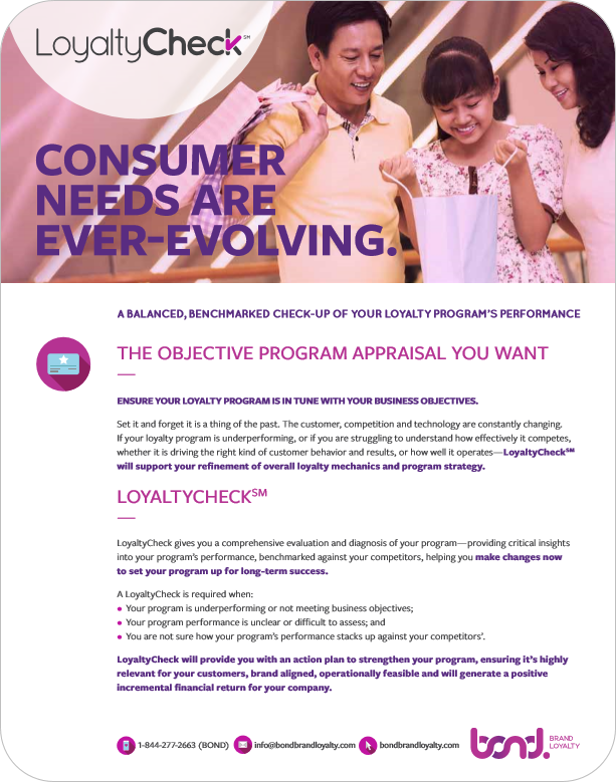 LoyaltyCheck gives you a comprehensive evaluation and diagnosis of your program—providing critical insights into your program’s performance, benchmarked against your competitors, helping you make changes now, to set your program up for long-term success. Download the information sheet to learn more about Bond's LoyaltyCheck.